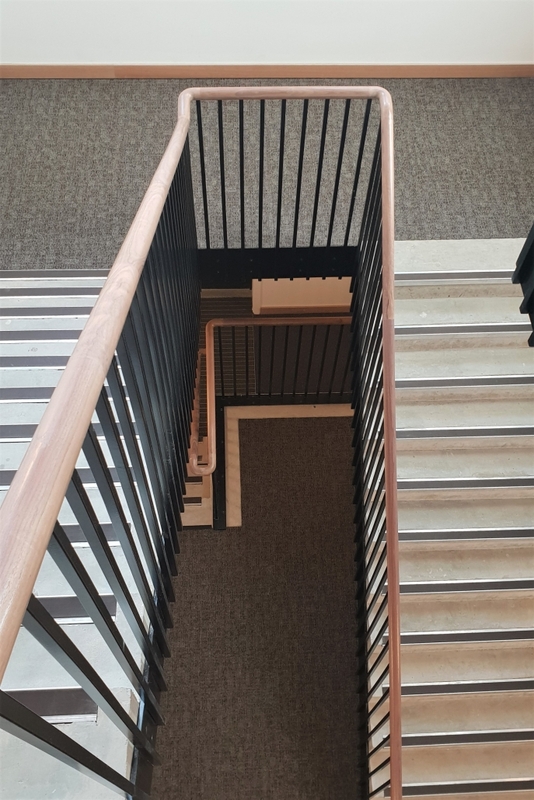 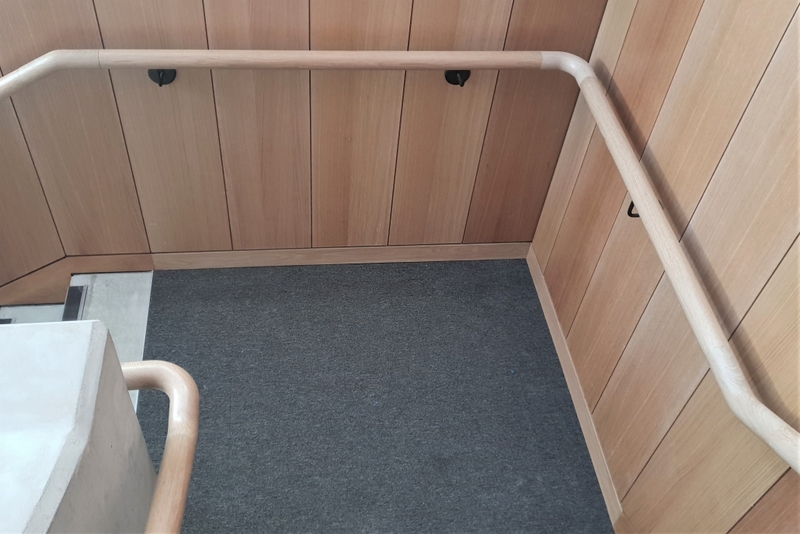 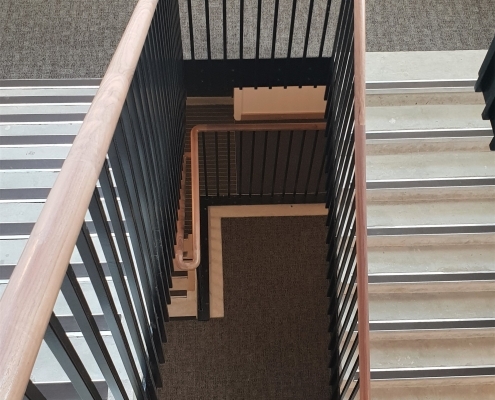 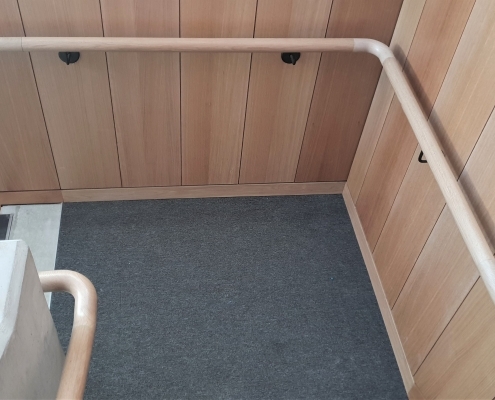 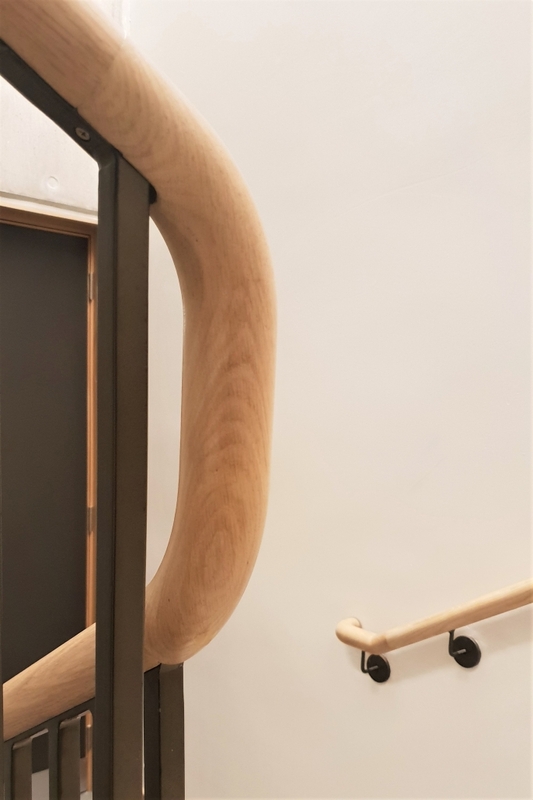 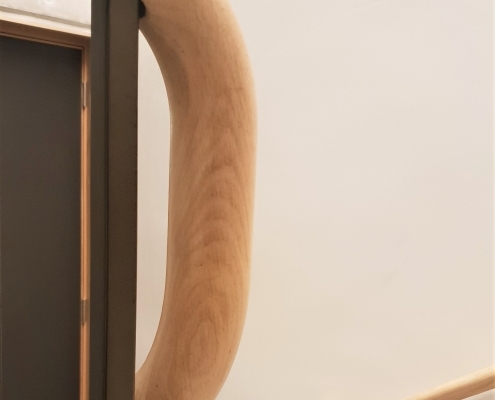 When a joinery company couldn’t make the handrails themselves in time, Handrail Creations were the clear choice to hit the client’s tight deadline and install over 400 linear metres of FSC oak and black walnut handrails, including ramps, corners, bends and wreaths. 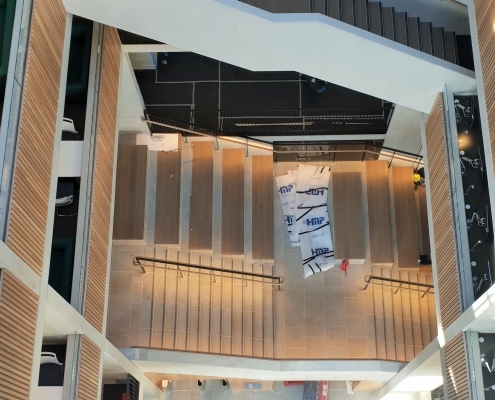 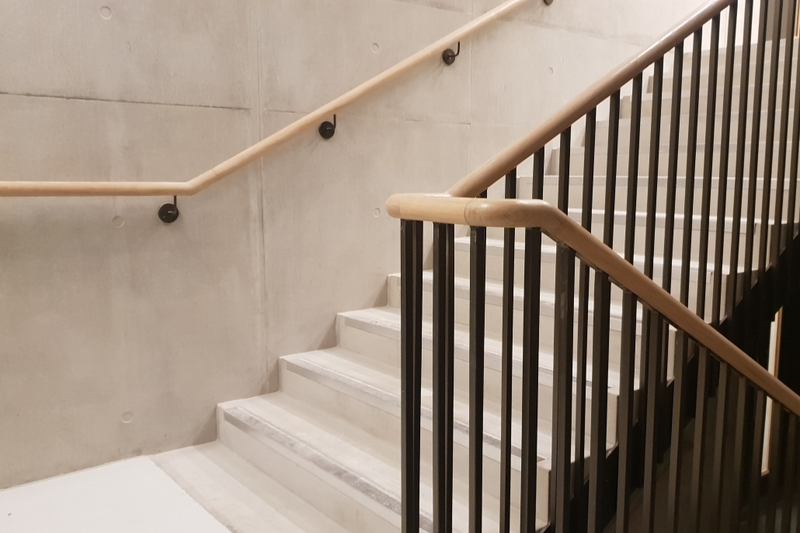 The project covered 6 stairs and 4 large atriums, including infil, LED lighting and steel bolts required for additional strength in an educational environment. 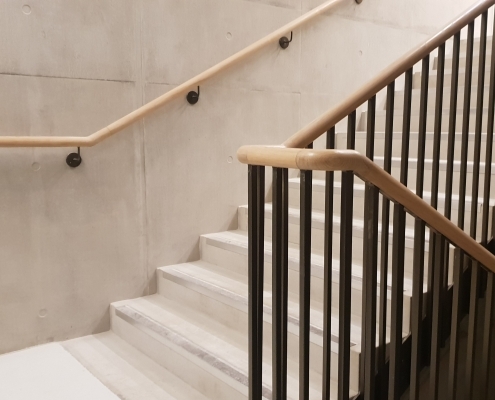 Working alongside a leading architectural metalworker from North East England, Handrail Creations carried our multiple digital surveys in the new student centre, then used a bespoke tooling set to manufacture over 300 unique components alongside straight rail in a matter of weeks. 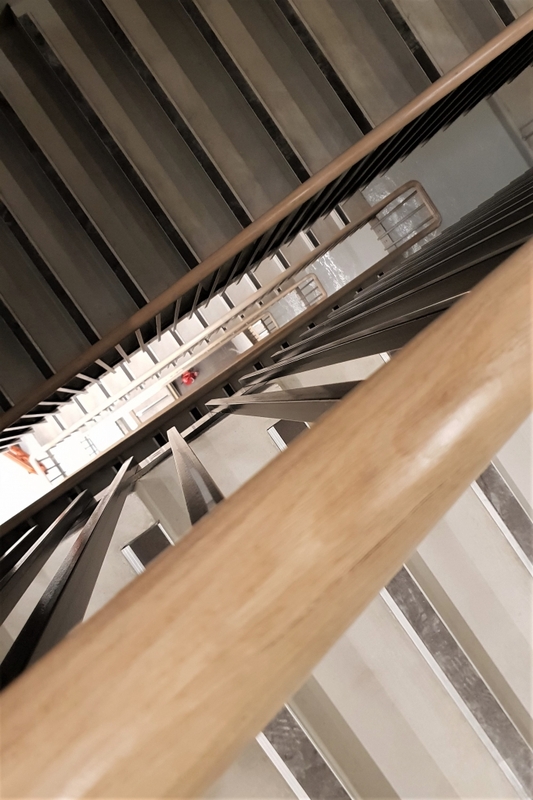 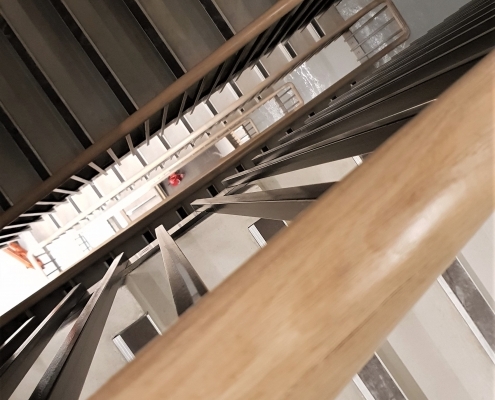 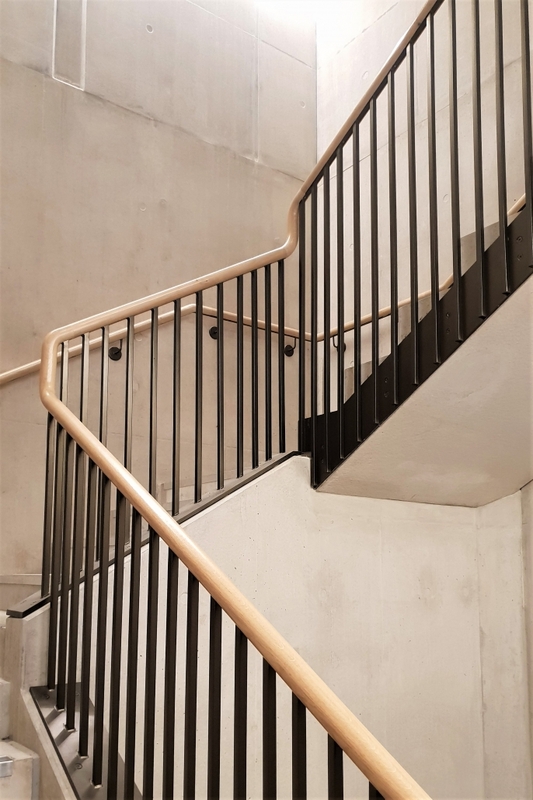 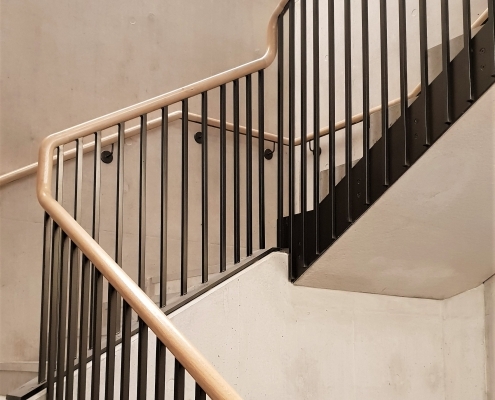 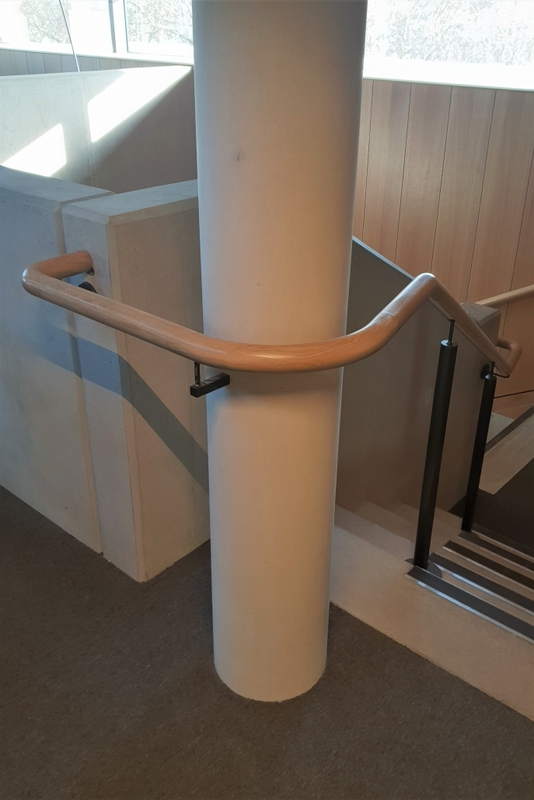 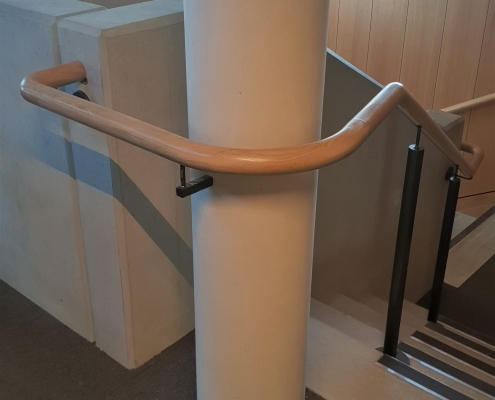 All handrails were made as a 45mm diameter mopstick profile to meet building regulations in the new £67 million pound development in central London. 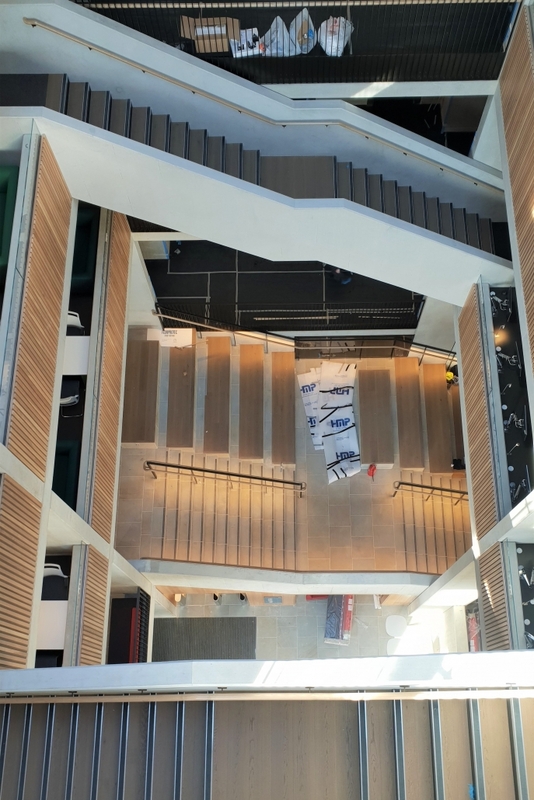 This project not only demonstrates our 5 axis capacity, but also our dedicated project management and installation capabilities – we pride ourselves on delivering first time, on time.